Seeing cities around the globe in their larger environmental contexts, we begin to understand how the world shapes urban landscapes and how urban landscapes shape the world. 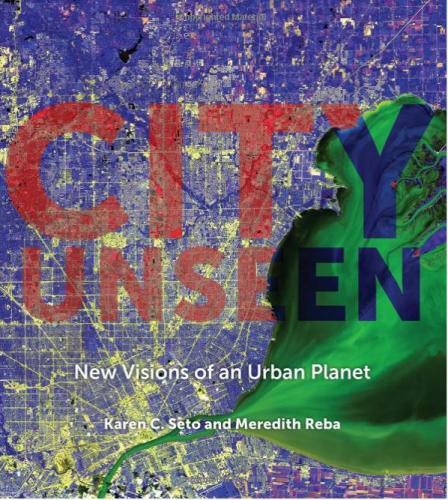 Authors Karen Seto and Meredith Reba provide these revealing views to enhance readers’ understanding of the shape, growth, and life of urban settlements of all sizes—from the remote town of Namche Bazaar in Nepal to the vast metropolitan prefecture of Tokyo, Japan. Using satellite data, the authors show urban landscapes in new perspectives. The book’s beautiful and surprising images pull back the veil on familiar scenes to highlight the growth of cities over time, the symbiosis between urban form and natural landscapes, and the vulnerabilities of cities to the effects of climate change. We see the growth of Las Vegas and Lagos, the importance of rivers to both connecting and dividing cities like Seoul and London, and the vulnerability of Fukushima and San Juan to floods from tsunami or hurricanes. The result is a compelling book that shows cities’ relationships with geography, food, and society. Karen C. Seto is the Frederick C. Hixon Professor of Geography and Urbanization Science at the Yale School of Forestry and Environmental Studies and a member of the U.S. National Academy of Sciences. Meredith Reba is research associate at the Yale School of Forestry and Environmental Studies.